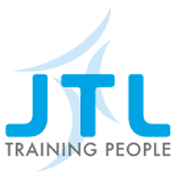 Many JTL professionals work out in the field, engaging with apprentices and employers in communities throughout the UK. But supporting teams in the field takes a lot of work behind the scenes – and that’s where our Head Office and support roles come into their own. Our support services are mainly based in Orpington, south-east London, although we also have offices in Birmingham and Wrexham and run other centres at which apprentices can undertake training. As you might expect, the variety of activities we engage in is significant. These range from IT support and human resources to marketing, accounts, payroll and business development. As a result, there are plenty of opportunities to get involved in building on JTL’s success so far.